For the sake of your eyes and my brain power (have been bedridden with la gripa for four days now) I’m keeping this short (er). 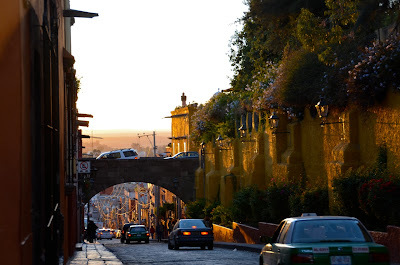 San Miguel is a stunning city, clean, colorful and vibrant. Housing approximately 70,000 residents, this picturesque town is brimming with culture and brilliance. We spent most of the week exploring different neighborhoods and checking out apartments for the summer. Superb restaurants – this week we detoured from Mexican cuisine to enjoy the culinary delights of India (Bhaji Famous Curry House- vegan biryani with bombay potatoes for me and coconut curry for Scott YUM), Italian (Antigua Trattoria Romana – fresh pasta), and Lebanese (La Fenicia – we returned twice for their dolmas, hummus, and falafels). We also enjoyed the highly recommended Hecho en Mexico for some of the freshest, organic local fare. They had the best salsa verde that I’ve ever tasted and lentil soup that made my taste buds do the jig. Their veggie burger was scrumptious – brown rice, oats, beets, spices. There are more vegan and vegetarian options in San Miguel than anywhere we’ve been, and very reasonably priced. Markets and Art – Galleries and artisan boutiques seem to emerge on every street, and the Mercado de Artesanias is like a clearinghouse for all the artists in the area. From a food perspective, there are numerous organic options for those of us who prefer to indulge in veggies unladen with toxic chemicals. While searching for our lunchtime staple, crema de cacahuete (at a store called Gourmet Organica that was really more like a mini Safeway), I found a box of baking soda (bicarbonata). This may not be exciting news to many, if any, but I’ve been needing to clean my stainless steel water containers (getting stinky and slimy). In Sayulita, they sell it in tiny 1-ounce baggies of bicarbonata, like it’s some illegal substance. And white vinegar leaves an unsavory taste in the bottle. Culture – La Escuela de Bellas Artes is a fine arts school and museum that feels like a beautiful park and boasts incredible murals. The Biblioteca Pública houses the largest collection of books in English is all of Latin America. Plus the place is gorgeous and offers a variety of cultural events including a teatro. We saw an art exhibit there and enjoyed art created by local children. El Instituto Allende, formerly a convent, is now an art and language school. If we live here, I’m already planning some classes in Spanish and traditional looming. Parks and Architecture – The Parroquia de San Miguel Arcángel is the church that reminds me of Cinderella’s castle. Among the numerous churches and temples are the Templo de la Concepción aka Templo de las Monjas (the nuns) and Templo de la Salud/Iglesia de Nuestra Senora de la Salud, Templo de San Francisco. Each of these has inviting facades or domes, ornate with colorful with hues of pink and yellow. Within the distinct neighborhoods there are parques chock full of vegetation, fountains, and benches for people watching, but none like El Jardin in the centro. We envisioned walking Stella at Parque Juárez. 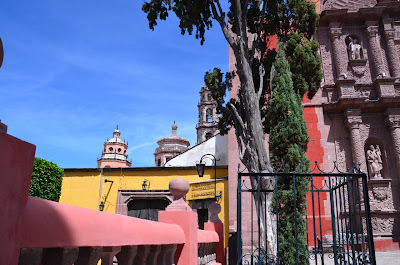 People – Despite the warm colors in this charming pueblo, I only give it a 6 on the warm people or friendly scale keeping in mind that I’m comparing it to Sayulita, a surf town where all the people seem to be living in oceanic, surf-ful blissed-outness. Granted, the Mexicans are consistently friendly (they get a steady 9), stepping into a shop, a restaurant, or even the bus and wishing everyone buenas tardes. 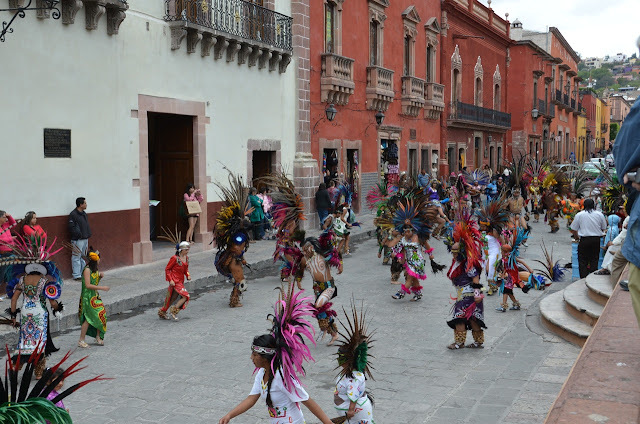 I still find pleasure in buenas tardes’ing everyone – on the street, in shops, but one is hard-pressed to get a return tardes from some local gringos here, who are mainly retirees from the US and Canada. 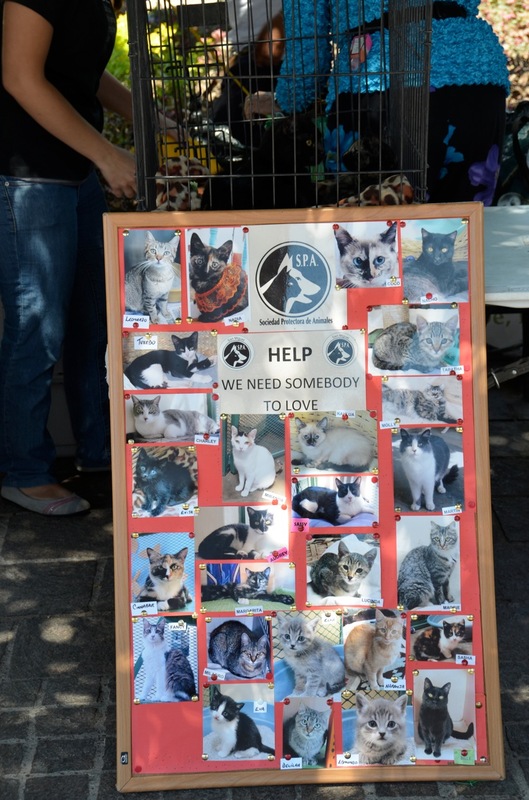 One is hard-pressed to even make eye contact with many of those folks while passing them on the street. At least this one is, and this one tries. Call it reserve, call it hardened from whatever city these folks have escaped, call it rude, but really, it’s simply a lack of sharing a good afternoon. Given all that, I am now going to contradict myself. We’ve met a few awesome folks here while apartment hunting – like John and Sharon and Rhea, folks who took the time to talk with us and share their wisdom on the town. A guy on the street stopped us because he heard us speaking “English” and he immediately opened up a dialogue. His voice sounded like Bill Clinton and turns out his name is BC. On Friday, we ran into a couple that we met in Rancho San Cayetano. This, while Scott and I were stuffing our faces with bread from a local bakery and reading a menu attached to a restaurant door. We chatted for a while, and they invited us to dinner that very night. I found this to be very generous – inviting virtual strangers to their lovely home. Naturally, we accepted and had the best and most hospitable company in Lea and Ricardo at their lovely casa. Muchas gracias to them both and to the others for raising the friendliest factor here in SMA. The “friendly” situation here might be one in which folks seem unfriendly upon initial contact but are simply reserved, much like one would find in a large city. Upon breaking the initial ice, all may turn out to be friendly. Fingers crossed since we’ll be living here in a few months. Folks in other parts of Mexico call San Miguel, Gringoland. There are a lot of gringos here, much like Sayulita, yet we have noticed the Mexicans are likely to speak Spanish first opposed to Sayulita where they are more likely to speak English first. We look forward to increasing our language skills in San Miguel. Sitting in a park with three temples in sight. From any perch in town, one can see a beautiful tower. Here, we are sitting on a bench at Iglesia de Nuestra Senora de la Salud. Beautiful:-) Love that there were lots of vegan options! And thank you so much for my candle. I think it worked:-) Plus it is lovely that it is in San Miguel de Allende- in Guanajuato, where my mother’s family migrated from. Thanks again… sending lots of love and safe travels.